So the first demo of the Steam Controller was in use with Portal 2, and what immediately struck me about this demo was how seamless the user experience was. There was no searching for buttons, there was no awkward movements, the thing just seemed to work quickly and accurately. What was also mentioned was the fact that the Steam Controller is fully configurable. I.e. for different styles of games you will be able to adjust the pad to suit. The second demo highlights the diversity with which the Steam Controller can handle games. Civilization 5 was used to demonstrate how the control pad could also be used for map based strategy games. These game traditionally rely heavily on moving the mouse across the screen and making different selections. While I have not played Civilization 5 myself, I was disappointed that this demo didn’t show how well the game-pad could handle selecting multiple targets on a map. However I was impressed with how fluidly it could span the map and select different options. The third demo shown was Counterstrike: Global Offensive. The purpose of this deom was to show how accurate the Steam Controller could be when firing in first-person shooters and demonstrated that you could play first person shooters on a game pad without having to use auto-aim. While I was impressed with how quickly and accurately he was able to pick off head-shots on his targets, I would like to see a side by side comparison against a mouse and keyboard setup to see the difference in speed and accuracy. The final demo was of the game Papers Please. The point of this demo was to show how intuitively the Steam Controller could handle mouse based games where there is a lot of navigating around a screen using a mouse. Valve took an interesting approach to this and demo’d how the Steam Controller could map the mouse to both trackpad simultaneously and this seemed to work well.Overall I was very impressed with this initial demo. There are still a lot of features for the Steam Controller that are yet to be demonstrated such as the force feedback in the trackpad and how the buttons are used in conjunction with the trackpads, but overall I am very impressed. What do you think? 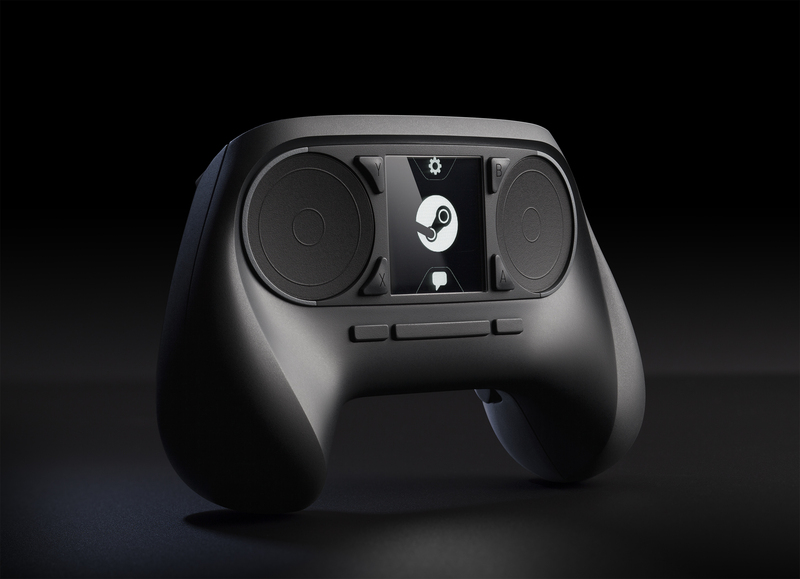 Are you looking forward to the launch of the Steam Controller and Steam Machines?Leave a comment and let us know!